Viviscal appeared in this week’s Stylist. As a result of the fashion week activity, the supplements have been featured on the Beauty Intelligence page. They have reported a stat about shedding hair in the winter and have recommended Viviscal supplements for fighting against weak strands, also mentioning that they contain Biotin. "Viviscal's Maximum Strength Supplements help fight against weak strands, containing biotin for hair strength..."
In 'An Essex Wedding' they have recommended the Viviscal Densifying Shampoo and Conditioner for those suffering with hair loss. A reader has commented that after just a few washes, her hair felt thicker and full of life. Elleuk.com have featured the Viviscal Maximum Strength Supplements in a feature about how to make your hair grow faster. The supplements have been recommended to give a helping hand as they promise to reduce shedding and reverse the effects of hair loss. It has also been stated that they are the number 1 bestsellers. 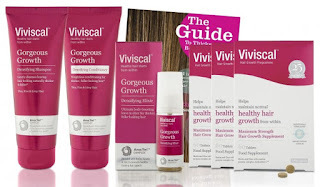 "There are many hair supplements on the market, but Viviscal Extra Strength Hair Nutrient Tablets are the number 1 bestsellers...The maximum strength tablets promise to reduce hair shedding by up to 1/5 and will reverse the effects of hair loss." You can read the article on ElleUK.com. The Telegraph.co.uk have included Viviscal’s Maximum Strength Supplements in a feature about 2016’s most googled beauty questions. One of the top questions was “How to make your hair grown faster” and the journalist has recommended investing in some hair supplements. For the best results they have said to look for Viviscal, which will improve strength and shine over time. 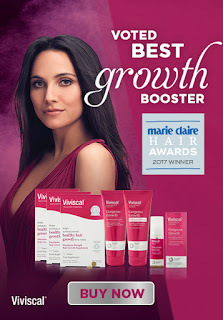 Viviscal is the winner of the “Best Growth Booster" award! Marie Claire have announced the winners of the hair awards in their January issue. Winning “Best Growth Booster” Beauty Editor Fiona Embleton has explained how the Marine extracts assist in growing hair. She also reported back that within 3 months her hair grew two inches and felt way healthier. The Express.co.uk featured the Viviscal supplements in a round-up of products that Victoria Secret models use. They have included a quote from Neil Moodie about he recommends the supplements to the models, as well as a quote from Victoria Secret Angel, Karlie Kloss. "When it comes to models the first thing I recommend is Viviscal." You can read the article on the express.co.uk. Woman & Home have featured the Viviscal supplements in a feature about how to winter proof your hair. Beauty Director Jo Glanville-Blackburn has mentioned that the supplements have a significant effect on hair volume and texture for a number of her friends who have tried them.